The retail package is nothing special you get the typical DVD case with DVD(s) inside, manual and that is about it. This is what we saw at Best Buy and Gamestop. There was nothing overly special that would make buying the retail game a better value. 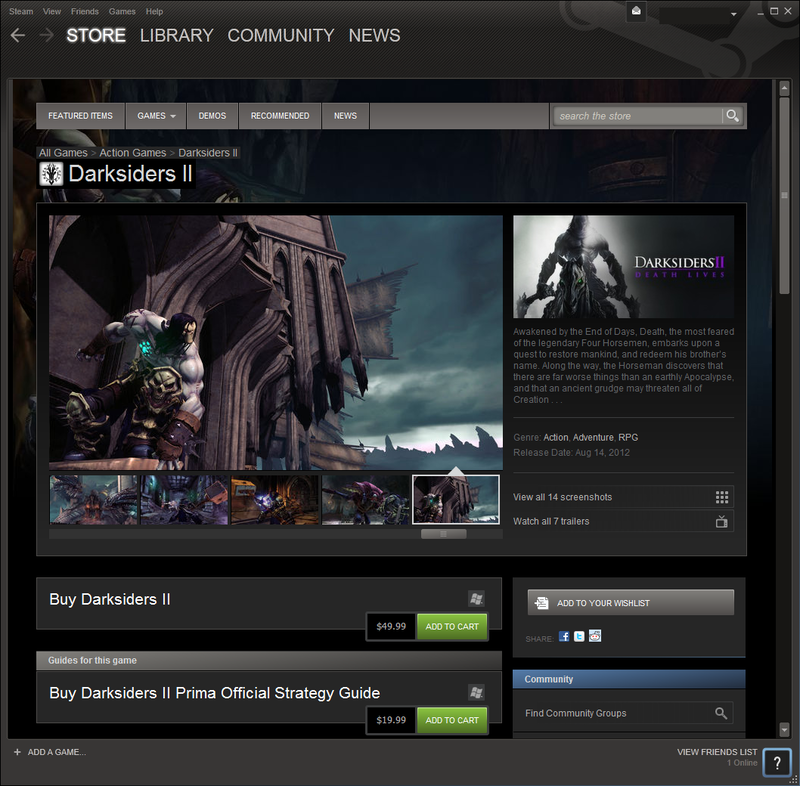 On Steam you can grab Darksiders II for $49.99 and it will take a little while to get downloaded and installed (we will talk about that below). Overall the advantage of getting a retail product over an online copy is just going away. Still it is nice that you do have the option to get this in a store without the need to be online to install or play.